Copper Updates For Today: 23rd Oct.
Copper rose on news of expectation of stimulus by ECB in December and buoyed by another production cutback by producer Free port and strong Chinese import data. A modest break higher in last session for MCX Copper fizzled out as the 50 day Exponential Moving Average drew near. The counter ended just under Rs 344 per kg mark. Much of the recovery was due to bargain buying after the contract tested a two week low under Rs 339 per kg in the prior session. A break under Rs 343 mark, which was the last session low can trigger further selling today. Upside looks capped around Rs 347. 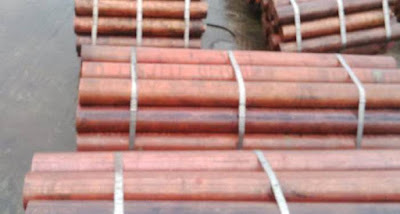 Copper MCX Tips: It will be better to sell Copper for intraday due to its bearish trend today.